No skill or materials needed. Come to one or all of the classes to become proficient in making loom hats that are knitted. 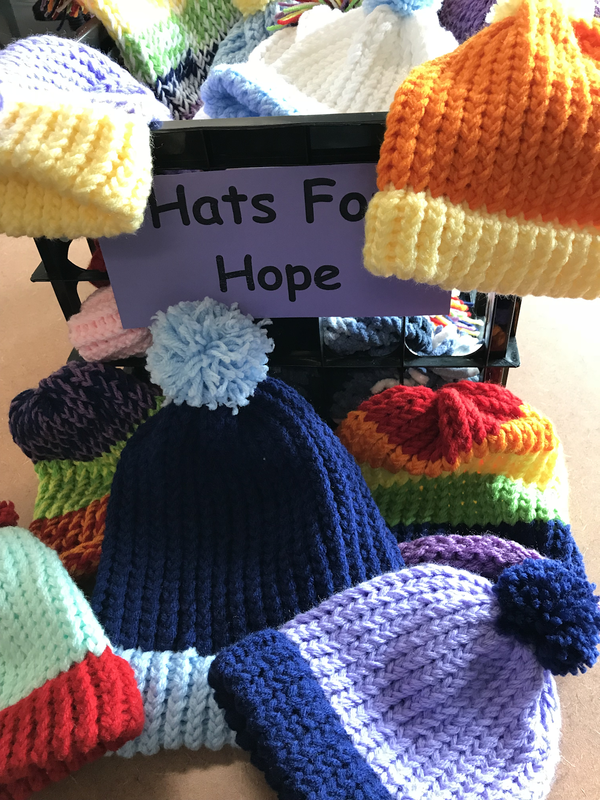 The method is so easy, even children can learn how to make these warm hats. Hats are being provided to the Room in the Inn guest in February and March. Another delivery will be made in the end of February to Haywood Church's Respite Center's patients in Asheville. The more hands involved, the better! All you need is the willingness to help spread the love of God with a little of your time and effort. Please RSVP to Marsha Gillis by text or phone at 704-564-2497. Classes and gatherings will be held in Marsh's home at 10607 Newberry Park Lane. If you already have the "know-how", come and join the camaraderie and share your skills. Bring a friend!